"Do it yourself" does not mean you have to do it alone! And for those of you looking to redo your office conference area with style, you've come to the right place. In today's article, we'll be listing the steps every DIY decorator needs to take to get a conference room your business can be proud of. Check out these tips for a helpful office makeover process that's sure to impress! Every business is different. That's why it's so important to assess exactly what you'll be using your conference space for. 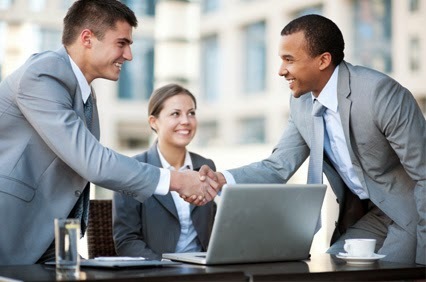 As a place where you'll be meeting with other corporate executives and guests, a good conference room should be professional, but also showcase your business personality. Try to choose classy, effective conference room furniture with the same personality you want visitors to associate with your company. Also remember that you may be using the space for more than just corporate meetings. Having versatile modular conference tables that can reconfigure, or nest for easy storage, will be beneficial if the conference room doubles as a training area, presentation room, or boardroom. For DIY experts, accurate measuring is probably thoughtless reflex by now, but for those of you just getting started, we cannot stress the importance of properly measuring space for interior design. Anytime you plan to decorate an interior, get a few friends to help you take measurements of the room. Then, make a scale drawing on graph paper to put it all in perspective. Be sure to make note of any entryways, power outlets, windows, and other permanent fixtures in the room. This will help you determine the best layout for furniture. 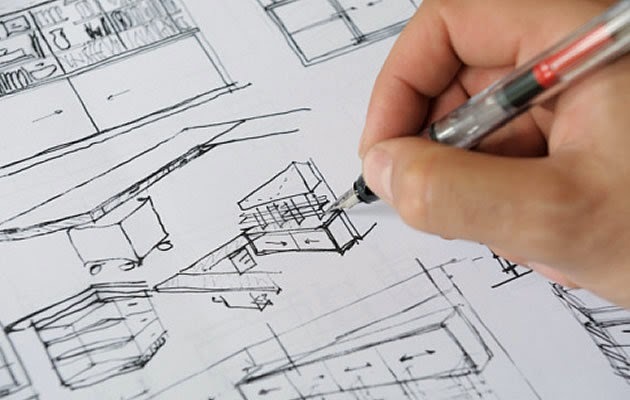 Of course, once you've got an idea of the furniture you want, it never hurts to make scale drawings, cut them out, and move them around the floor plan to help decide on a layout. This is the space you're relying on to represent the best your business has to offer. So remember, choosing reputable office furniture manufacturers is a must-take step (unless you plan on attempting to DIY a conference table by yourself). For those new to the office furniture world, know that Global Total Office, Cherryman, and Mayline have long been some of the best brands for choosing quality conference room furniture. You may choose to shop by office furniture collection with any of these great brands, or pick through furniture by categories (such as "top conference furniture" or "leather conference room chairs"). Either way, going with best selling office furniture brands is a surefire bet! 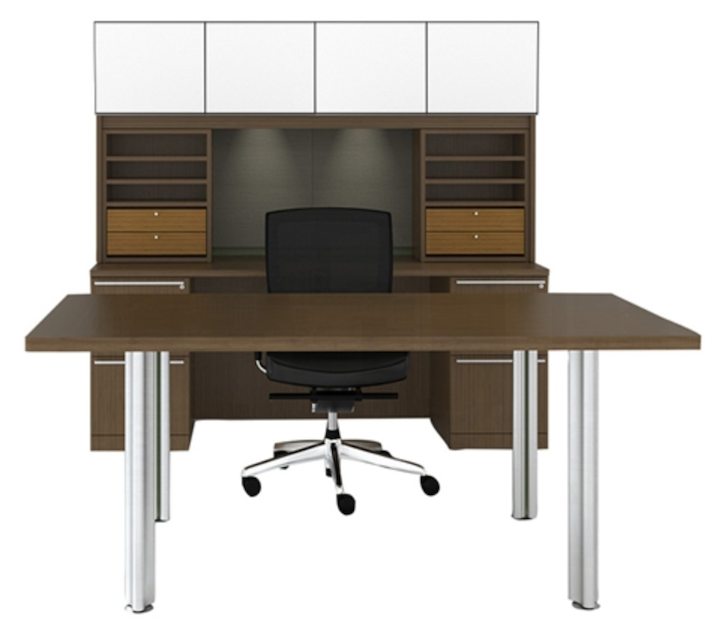 Almost all quality office furniture brands sell through a dependable office furniture dealer. However, with so many dealers out there, it's hard to know if you're getting the best price. Unless you plan on crafting your own furniture along with your DIY office space, do-it-yourself shopping is unfortunately part of the deal. But don't worry! There are plenty of ways to shop for value. Furniture can get expensive so don't be afraid to sign up for mailing lists (you can always unsubscribe later). Use an app or a comparison shopping engine to help you choose a top furniture dealer with free shipping to extend your budget. Markdowns, clearance specials, and holiday sales are excellent times to shop. And don't be afraid to ask for bulk discounts (most dealers offer them to shoppers that buy more than three items). Once you've picked out your furniture and decided on colors, fabrics, and textures, it's time to break out the paintbrush. Getting the walls painted before your furniture arrives is crucial if you want a space that's ready to receive whatever you've bought. Try to choose cool paint colors with similar shades and patterns to the furniture you selected. 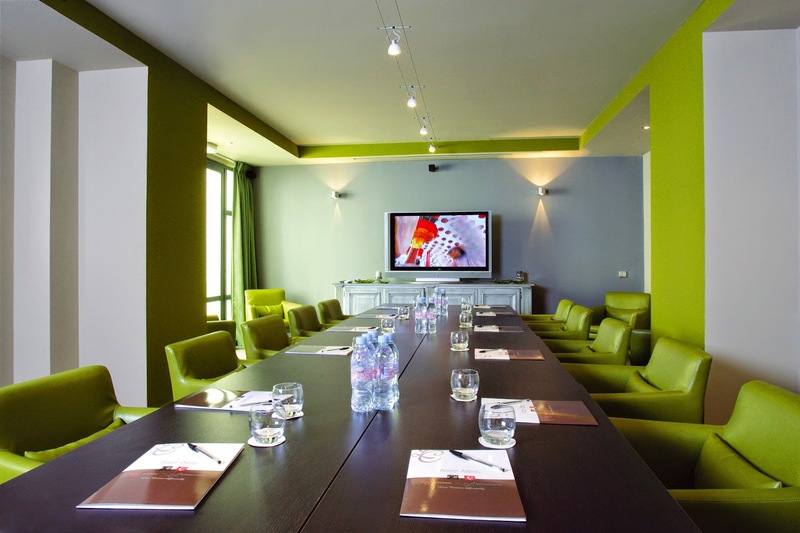 Make sure to pick a few contrasting colors so your conference room doesn't seem visually bland. Try to get the painting done and dried before the date you set the furniture to arrive by. 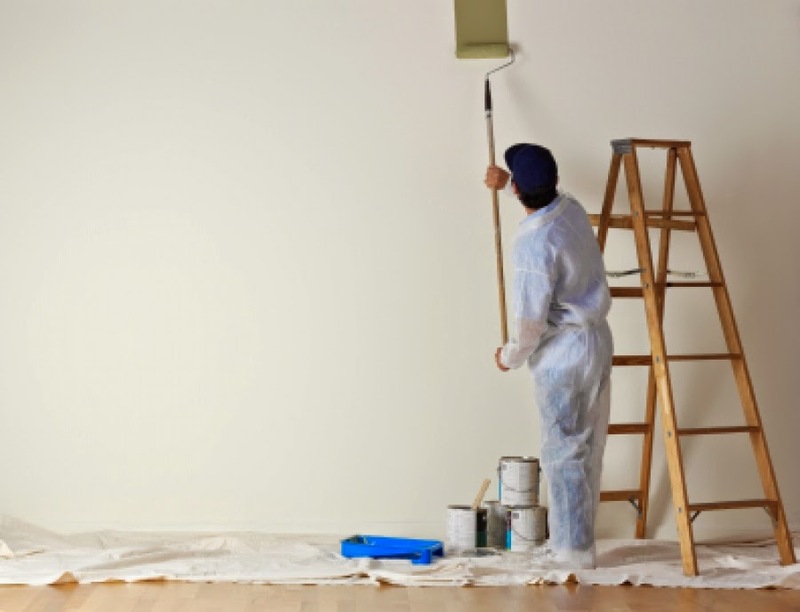 Remember, it's a lot easier to paint an empty room than one you've just decked out with new furniture! The big day is almost here, and that means preparation. Like getting ready for a new baby, new furniture arrivals require a lot of groundwork and planning to prevent unwanted surprises. Unfortunately, most new decorators overcomplicate the very simple furniture installation process by under preparing. In order to have a swift, safe, successful installation, discard the old furniture first or move it to a new area where you can confer with guests until your new conference room is done. Always create a "staging area"to house and organize furniture and boxes when they arrive. Try to have basic tools on hand, like a screwdriver, a cordless drill, pliers, and a first aid kit. Keep a buddy around to help with the heavy lifting and ensure safety. And finally, don't forget that there will be lots of debris afterwards. Plan a space to store trash, cardboard boxes, plastic coverings, bubble wrap, styrofoam, and packing peanuts to discard of them responsibly. Ah! Finally we reach the last step. Now that your new conference area furniture is all set up, it's time to take a last inventory of the room. Evaluate your space to determine any outstanding needs. Check to see if your conference area has proper lighting and power to tables and other electronics. Marker boards, lecterns, and TV carts are all helpful office presentation accessories that most conference room decorators forget about until it's too late. Add them in to create nice additions that will improve meeting area functionality and impress clients. Now you can enjoy your space! Home office design is tricky. Sure, you don't have to worry so much about whether your boss will approve of the space, but working around size constraints and an environment that isn't always businesslike poses problems too. Fortunately, there are tons of efficient home office workstations out there to help you get the job done. Here's a few options that won't sacrifice functionality for fashion! 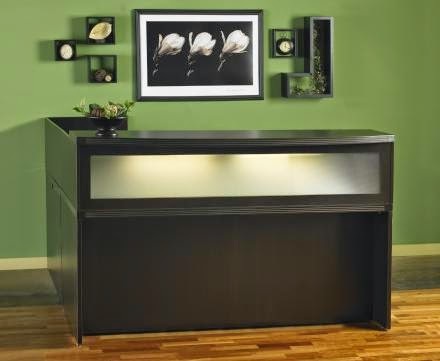 First on our list is the cool home office desk that has all the heads turning, both in homes and office buildings. The MNCNZ72-MNBBF-MNBBF-LMH desk seems like a lot to type into a search box, but when this stunning credenza desk from the popular new Mayline Medina series pops up, all is forgiven. Available with a whole set of stylish furniture to unify the look, this desk makes the perfect space-effective model for a home office. It's compact, modern, and equipped with storage features for added value. For most though, it's shining asset is the affordable price! Next up, we're proud to present the unmistakably modern style of the VL-743N-GLASS Verde Desk by Cherryman. This contemporary desk is affordable and packed to the gills in appeal. It makes a perfect option for public and home business use, especially because of it's reconfigurability and storage space. The combination of wood and chrome accents brings out the futuristic style that will make this model popular in years to come. Got a space by a window you're dying to work from? Then the 55196 L-Shaped Workstatuon by OFM is the model for you. This discount corner office desk is the perfect thing for a place that's tight on square footage. It offers plenty of work room without taking up much of it's own! Available in two gorgeous finishes, this desk has versatility of style to match decor. For less than the cost of a fancy office chair, it makes the perfect easy-to-assemble desk to get work done. For those of you out there that like to customize, nothing is better than the desks from the Princeton furniture collection by Global for your home office. Complete with stunning modern appeal, an efficient modular desk design, affordability, and loads of finish options to choose from, models like the A10 Princeton desk by Global are supremely popular for both home and business use. 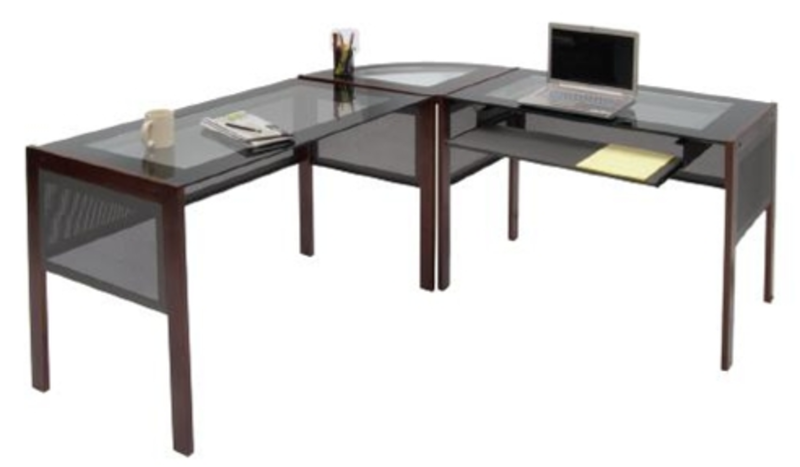 Finally, we leave you with the simple and affordable modern glass desk by Calico Designs to jazz up your home office. Anyone on a tight budget will appreciate the stunning OL2 desk. Featuring plenty of work room and great professional materials like hardwood and glass, this desk is a steal at it's current affordable price. It looks just as perfect in a home as it does in public business places without breaking the bank! Have You Evaluated Your Office Needs Lately? 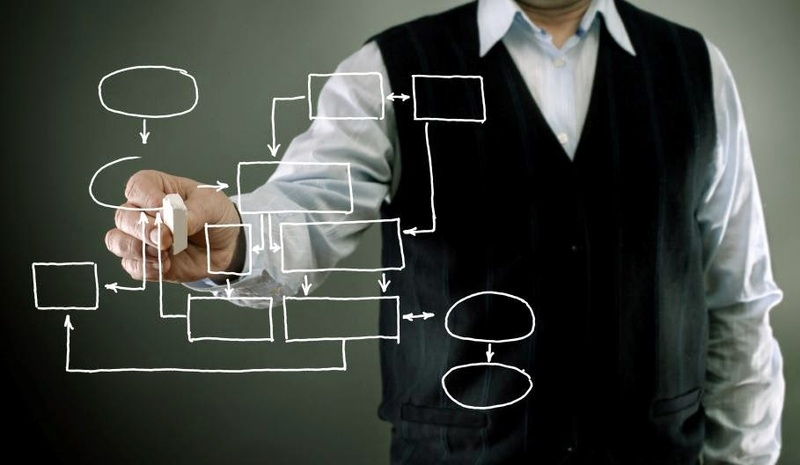 Evaluating your office needs on a yearly basis is supremely important. To maintain a productive and efficient work environment, several key areas must be regularly assessed. The 5 step process highlighted in today's post will hep you to properly asses your space and effectively identify your office needs. When evaluating your space, you'll first want to check for crowding. If you're limited on floor space and worksurface, you may be working in an overcrowded an unproductive area. While a simple clean up is sure to free up some usable area, it might be time to go modular! 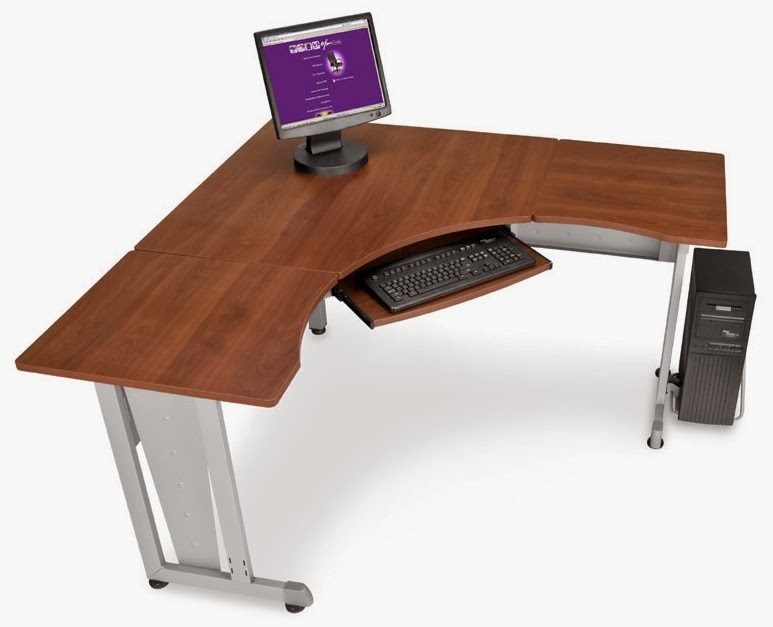 Selecting a new workstation built around your current needs will greatly improve your work rate and overall effectiveness. 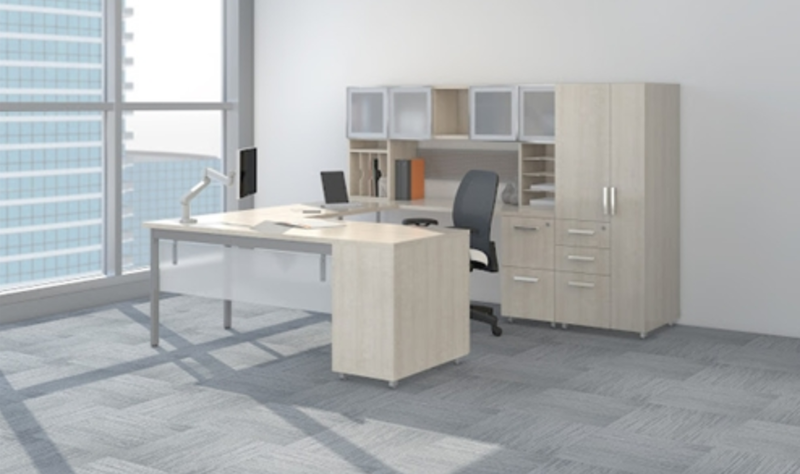 Modular workstations provide excellent space saving benefits and will allow you to create stylish desking configurations designed to grow around your future needs. Brands like Cherryman Industries, Mayline, and Global Total Office all offer best selling furniture collections to fit your needs. Office clutter will no doubt slow down your work rate. If you find yourself searching for items regularly, it's time for a simple cleaning session. Start by getting organized! Grab a couple boxes and remove the unnecessary items from your desk top and work area. A good rule of thumb is that if you aren't planning to use the item that day, it shouldn't be on your desk top. 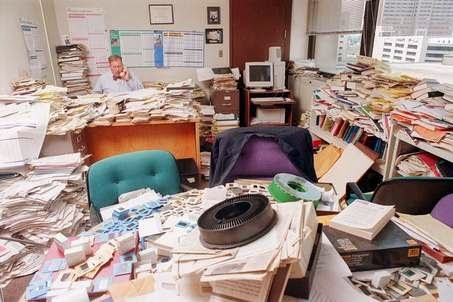 Once you've removed the general clutter from your area, create an office organizing system that works for you. Keeping stationary supplies like pens, sticky notes, calculators, and staplers in one general area is a great place to start. Simple desk top organizers are inexpensive and will help you maintain a more efficient office place. When everything has a place (and you know where it is) you'll have a much better chance to beat the clutter bug! Once you've assessed your crowding an clutter, it's time to evaluate your current discomfort. While addressing discomfort in the workplace is of the utmost importance, it's far easier to note your problem areas in a clean and well organized space. Most office discomfort stems from the office chair. Poor sitting posture can result in back problems and blood flow issues. Before jumping online to shop for ergonomic chairs, try adjusting your current seating solution for better results. If work discomfort is severe, you might also consider meeting with a physician to determine additional ways and ideas to help your specific situation. Purchasing a new chair is definitely a great start if your current model isn't cutting it, but it's not your only defense! New and helpful ergonomic products like monitor arms, articulating keyboard trays, and adjustable foot rests will all help alleviate common workplace comfort issues. 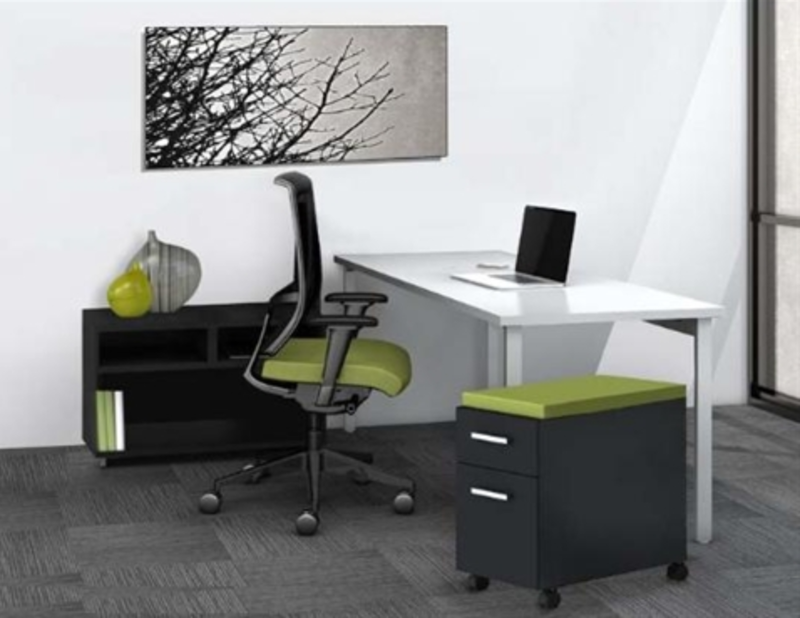 Is your current office furniture layout based on aesthetic value or productivity? Your answer should be both! 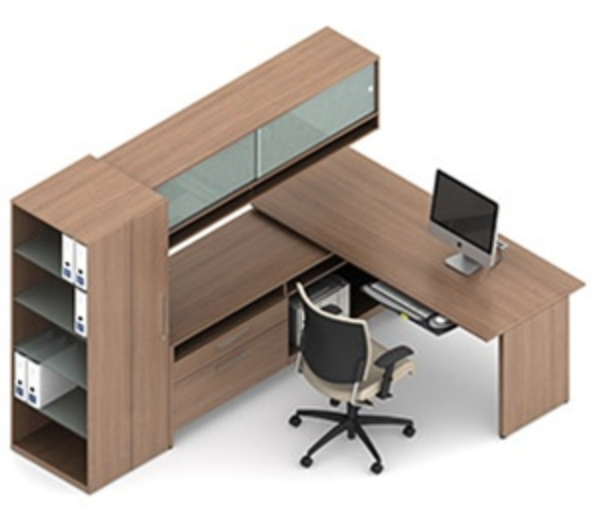 A stylish and effective furniture configuration will help you to maintain a happy work life while keeping you operating at peak levels of performance. If for example your desk is setup to face a wall, you probably aren't feeling much inspiration. Consider alternative ways to setup your space that will help your corporate appeal, visitor experience, and personal productivity. New, affordable, and custom modular furniture sets are available (if needed) to create a space you can be proud and work your best in. A well rounded furniture layout is sure to improve your comfort, style, and effectiveness. 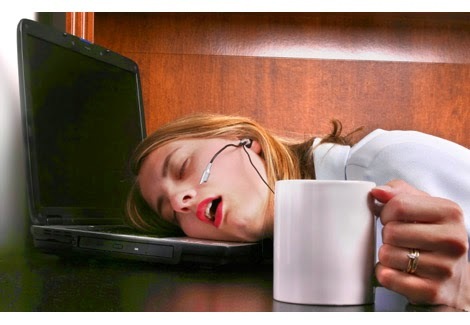 Believe it or not, fatigue is a major factor to consider when evaluating your office needs. If you find yourself tired throughout the work day, it's time to make a change. As your office needs revolve around your personal health and wellness, a good nights sleep is the first place to start. If you don't already, try eating a healthy breakfast to help jump start your day. In addition to these common practices, you may be experiencing fatigue due to a lack of inspiration and overall comfort. While steps 3 and 4 of today's article will help these areas, you can save energy by limiting the times you have to get up for various things needed throughout the workday. Try creating a list of things you commonly get up for. Consider moving these essential items to a location within arms reach to prevent unnecessary (and often frustrating) trips around the office. As evaluating your office needs stems specifically around your personal needs, maintaining good structure and practicing the simple tips mentioned above will surely improve your day. The typical image of an office worker usually involves a bored business person on the phone, trapped in a tasteless cubicles, but that's not at all what work has to be. Many creative people have shared their ideas for making the office, a fun, productive place where everyone gets along. 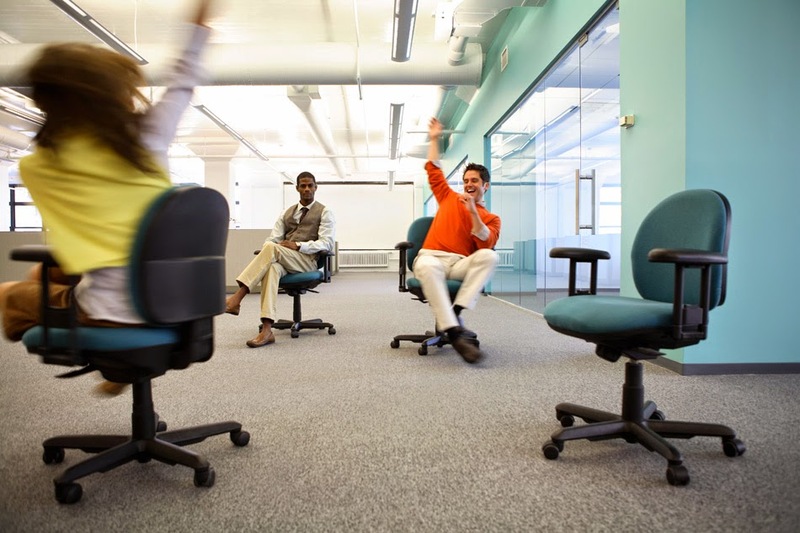 If your workplace could use a change of pace, here are some excellent ways to rock your office for sure! Decorating in time with the seasons and holidays is a great way to keep the office feeling fresh as the year goes by. Changing decorations, scented candles, and floral decor provides a nice change of pace that keeps the workplace from getting stagnant or suffocating. It's also a great excuse to provide deals, sales, benefits, or seasonal packages to clients and employees, while also really getting everyone into the spirit of whatever season or holiday is coming up next! Staying healthy at the office is a big problem for many Americans because it promotes such a sedentary lifestyle. However, eating right can do a lot to increase energy, focus, and even weight loss at work. Adding healthy snacks to your list of smart office accessories is sets an excellent example for coworkers and clients alike. Not only will you feel better, but with "brain food" snakes like walnuts and blueberries, you may also increase productivity and output in the workplace. 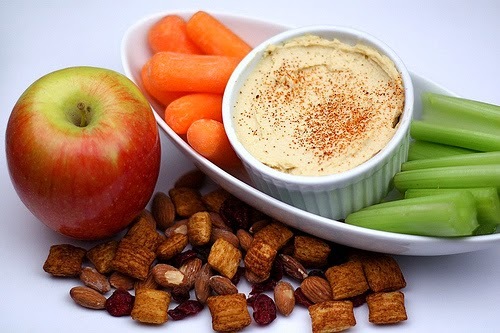 With snack time taken care of, we can move on to everyone's favorite part of the workday: lunch! Brown bagging it has long been the preferred method for dieters and health fanatics that want to eat their way to a healthier lifestyle. Packing one's own lunch is a much better alternative to fast food, especially since you'll have a much better idea of what's going into your body. Simply pack a lunch and instead of dining on the office break room tables, head to a nearby park for a coworker picnic with some close work friends. 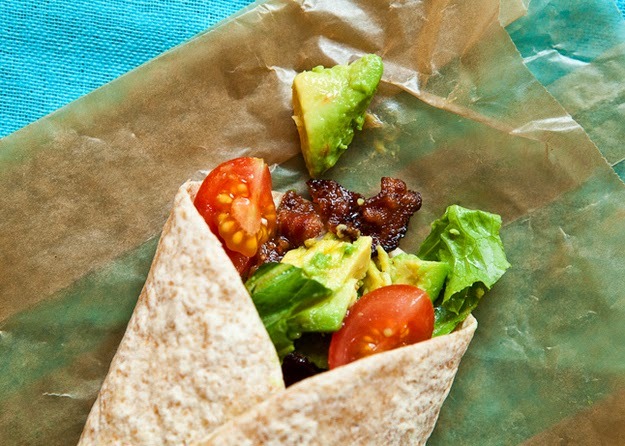 This B.L.T.A wrap or sandwich makes a super healthy tagalong! Slice up some Roma tomatoes, romaine lettuce, chopped leftover bacon from breakfast, and sliced avocado. Snag some of your favorite whole wheat or flour tortillas and lay them out (you may even decide to warm them up in the microwave for 30 to 45 seconds). Spread some ranch salad dressing, yogurt, or hummus down the center of the tortillas, and lay down the B.L.T.A. ingredients. Roll it all up and take a bite of the goodness! Many studies have shown that an outdoor walk on a work break helps to increase both focus and health in the average office worker. But if you can't get outside for lunch, don't worry, there are plenty of excellent ways to bring the outdoors into the office. The best way to start is by adding a little green! In studies done by universities like Rutgers, the University of Hawaii, and even NASA, many plants have been scientifically proven to improve indoor air quality by removing toxic VOCs. The removal of VOCs helps increase focus by clearing out the volatile organic compounds that, when breathed in, negatively affect the brain. By adding efficient office air purifiers like good indoor plants (for example, peace lilies, spider plants, or lemon balms), office workers can drastically improve the air quality of offices in the cities. On a slow workday, nothing livens things up like a little craft contest. This can be done with friends or by yourself on a day when you happen to have a little extra time to boost creativity. Just dig around through your retractable desk pencil drawers for some creative tools. 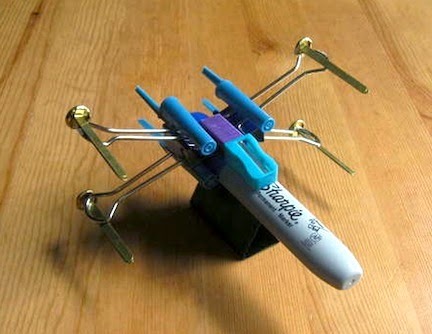 Block erasers, pens, pencils, paperclips, binder clips, rubber bands, and pushpins all make excellent equipment for building spaceships, rockets, or little office animal buddies to sit on the desk. Time yourself with some coworkers and judge based on final output for a team-building session everyone can enjoy! 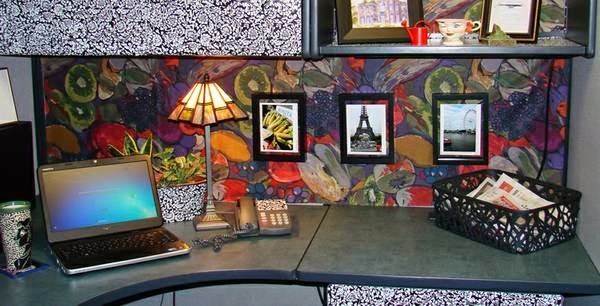 Expressing creativity and personality with cubicles is one of the best parts of working in an office. 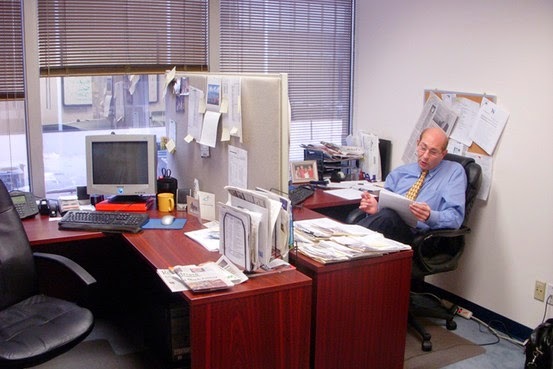 Empty cubicle walls are boring and can contribute to diminished creativity or even a bad habit of napping on the job. Instead of suffering through a boring space day in and day out, take the initiative to create for yourself a workplace sanctuary. It's usually okay to bring photos of pets and loved ones, but don't be afraid to ask the boss for live things too. Plants and bowl fish like bettas are quiet companions that won't distract or make a ton of noise during phone calls. If that's not your cup of tea, see if it's okay to print out large photos of places you want to visit or art that you like and paste them to the walls. In the end, you'll all have creative, professional cubicles for business that clients will be happy to visit. Craft contests are loads of fun to do by oneself or with others when there's extra time, but it does require using materials reserved for work. 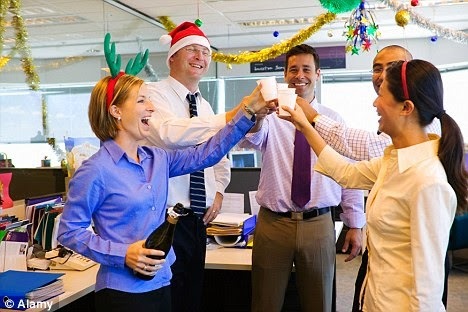 Office games, on the other hand, provide excellent team building opportunities that can unite the whole workplace. On slow days, lunch breaks, or during office parties and events, taking time for a quick game of "trash-bin basketball" serves as a fun break, and an excellent cleaning opportunity. See who can get the most shots into vertical office file cabinets or cubicle trash bins by balling up old paperwork and tossing from an office chair. Any of the dry erase presentation boards for conference room use will make excellent scoreboards. It may not be as fun as decorating with flowers or fish, but outfitting your workspace to be more ergonomic is an excellent way to increase work output while also improving health and comfort. 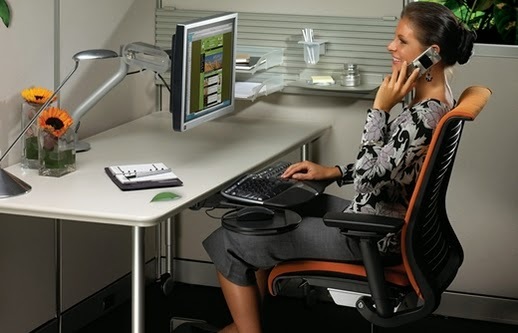 Adding devices like ergonomic monitor arms to reduce neck strain, or adjustable high tech office chairs to reduce back pain leave users feeling more at ease in the office. Over time, these gadgets can help force the body into more healthful positions and habits, so the whole workplace can benefit. Surprises are the spice of life. Not always knowing what's around the next bend is a wonderful way rock the workplace, especially in offices that never seem to have a change of pace. See if you can get the boss to agree on an event coordinator to organize potlucks, game sessions, and holiday events after work hours. Movie nights, harmless pranks, funny outfit days, open mic nights, and scavenger hunts provide just the right amount of whimsy to make all the work in the workplace worth it! Most of us have been through the experience before. You're out shopping, and just when you think all hope is lost, you finally find the perfect thing - only, it's in the wrong color, or size, or shape. It's the quintessential "close, but no cigar" moment that always leaves one feeling frustrated and empty-handed. But fortunately, the office furniture world has solutions! For every interior designer out there that's had to let go of the perfect item, these brands save the day with amazing customizable versatility! Check 'em out! For all your office seating and chair needs, RFM Preferred Seating is definitely the "preferred" option. 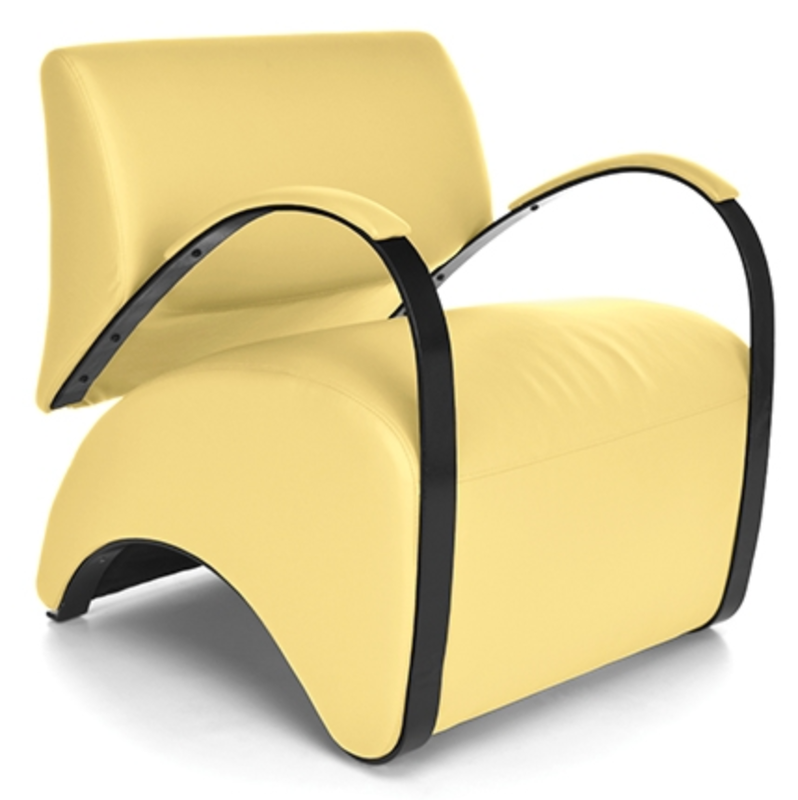 With RFM, cutting edge ergonomic chairs are just an amazing side effect for interior designers. For most, the true allure comes from the brand's spectacular fabric upholstery options. RFM provides one of the largest color and pattern selections on the market for nearly all of their chairs. Shoppers can take their pick of the basics, choosing navy or black leather, or they can mix it up! Platinum, Brandywine, Cerulean, and even Space Blue are just a few of the stunning versatile fabrics on RFM chairs out today. 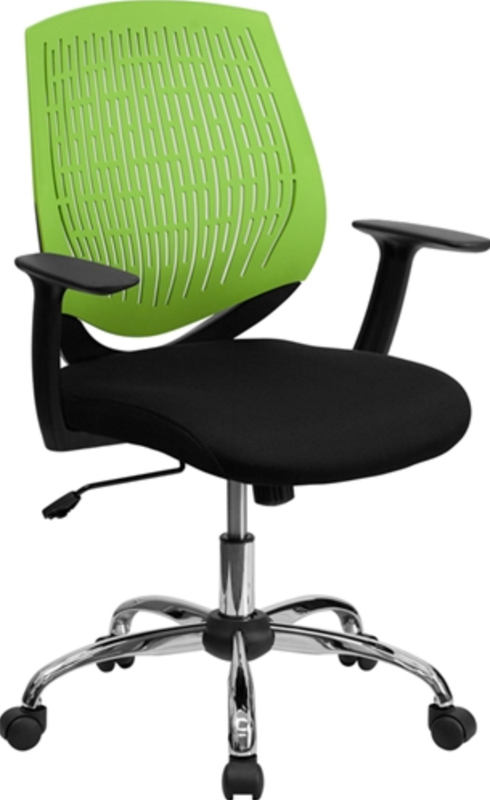 Always comfortable, the customizable features make this brand a perfect choice for office designers. 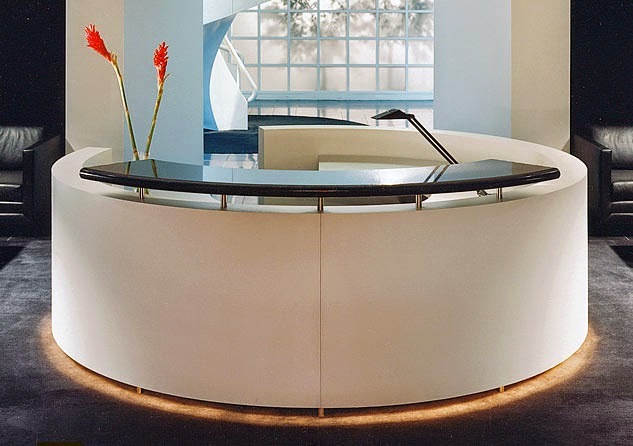 From the reception area to the executive office, Global Total Office really covers it's bases by providing top quality furniture for almost every part of the office. But that's not the only reason this brand is such a favorite. In addition to providing versatile workplace furniture for every part of the office, Global also makes sure that it can fit with just about any existing decor. Almost every item from this brand comes in a wide array of laminate finish options, powdered steels, or customizable fabrics for chairs. The astounding versatility makes Global an ideal place to start for anyone looking for new furniture to match what they've already got. From a brand that's dedicated to customer service, it's no surprise that Lesro Industries only caters to the guests. 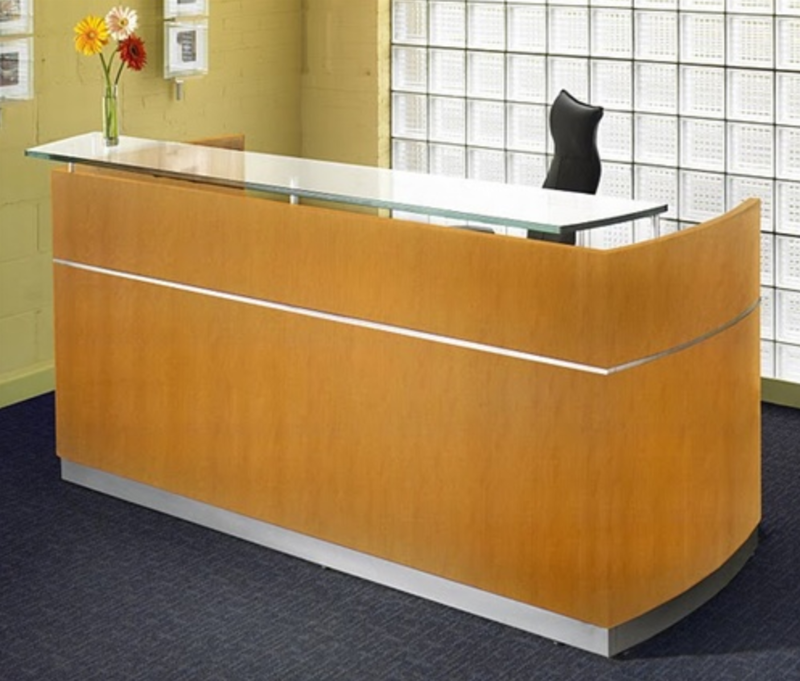 This brand is the choice for affordable modern reception furniture at a low price. With fashionable sofas, coffee tables, and end tables available from a wide array of cool Lesro furniture collections, shopping is never a disappointment. 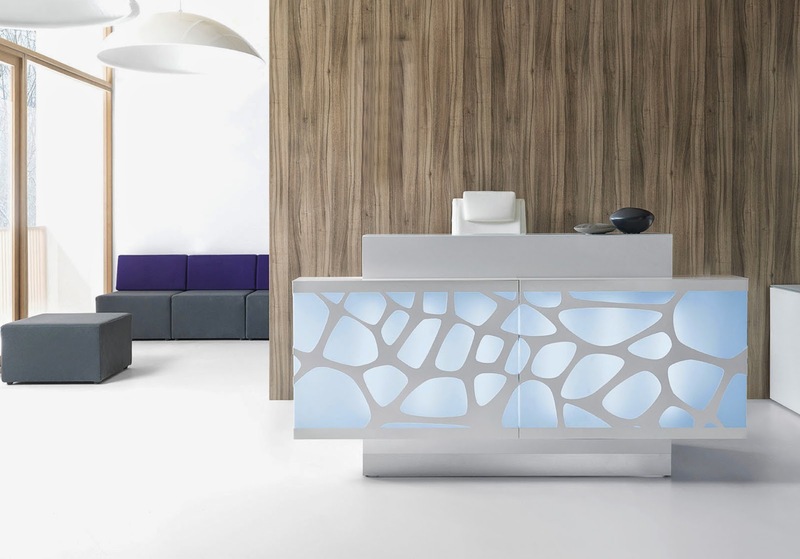 With a clever assortment of colors and fabrics for users, this brand has long been a favorite for lobbies, reception areas, and waiting rooms. While Flash Furniture does not always provide a customizable fabric selector for their products, finding what you need is almost never a problem. As one of the biggest office furniture producers around, Flash relies on astounding variety to meet the needs of consumers. 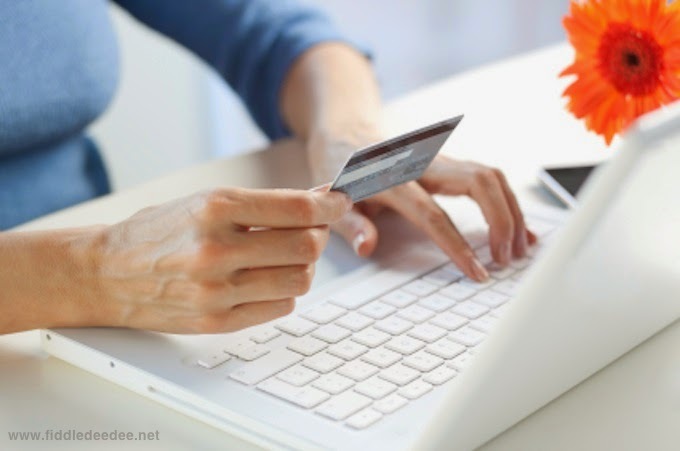 Those that shop with Flash always have low prices and plenty of options at their fingertips. More often than not, a chair seen in one color will almost always have twins in every color of the rainbow! 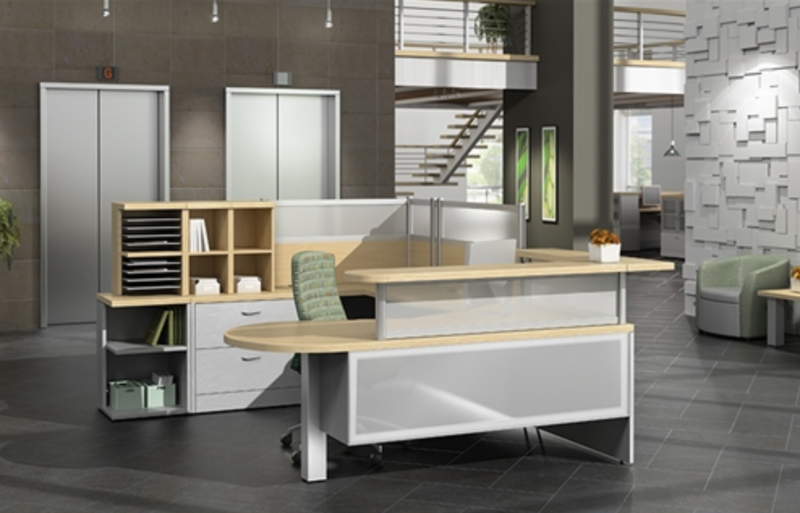 Mayline is a brand that's well known for manufacturing quality office casegoods at affordable prices. However, affordability is not the only thing they offer. Much like Global, Mayline makes tables and desks for almost every part of the office. Whether you're shopping for an executive, the conference room, or for fun foldable training chairs, Mayline has got what you need in spades. Cool fabric and finish options by furniture collection complete the look along with a host of stylings to make decorating a cinch. It's always a top pick for office designers everywhere. 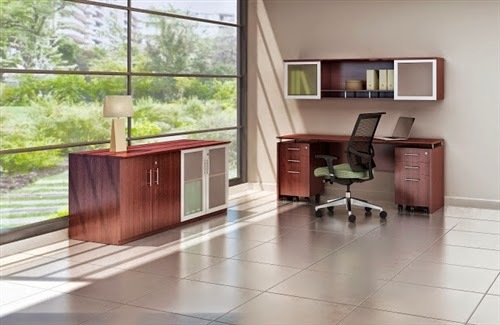 Versatile Storage Solutions for Your Office Space! Organization is a big part of what makes a successful office, but unfortunately, so is figuring out where to store everything. Files, folders, supplies, and paper take up a lot of room and also contribute to the clutter-factor that can make even the most professional of workplaces seem mediocre. But never fear! In today's article, we'll highlight the best storage options for a wide array of offices to help you stay polished and organized! For the office that's tight on space, the rule is always "build up, not out." When the floor is taken up by wall cabinets and file cases, it drastically reduces the space that could be used for travel, or more imperative furniture such as desks. For this office, we recommend sturdy office shelving for storage that's efficient both in space and utility. Wall shelves take up zero ground floor space, freeing up room for desks, people, guests, and decor. For the office that sees a lot of visitors, stacking and folding chairs save space too, and can be easily stowed away when not in use. The illusion makes most rooms feel much bigger because, in terms of space that can be used, they really are! While it is a rarer problem, there are offices that can suffer from a little too much space just as there are offices with too little. Those in offices with too much space almost never have a problem finding a place to put something, but all that extra room can make an office look unfinished, unprofessional, and empty. For this office, few solutions are better than large storage cabinets with organization to fill up space. Big cabinets take up more room than shelving. 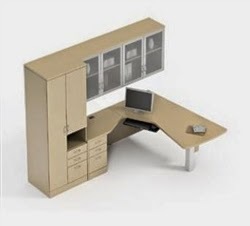 They help to make a large office feel lived in while simultaneously providing plenty of room for hidden organization . Active offices thrive on a fast pace, so it's only natural that they'd be harder to keep organized. With everyone moving from place to place all the time, important documents are bound to get mixed up once in a while. 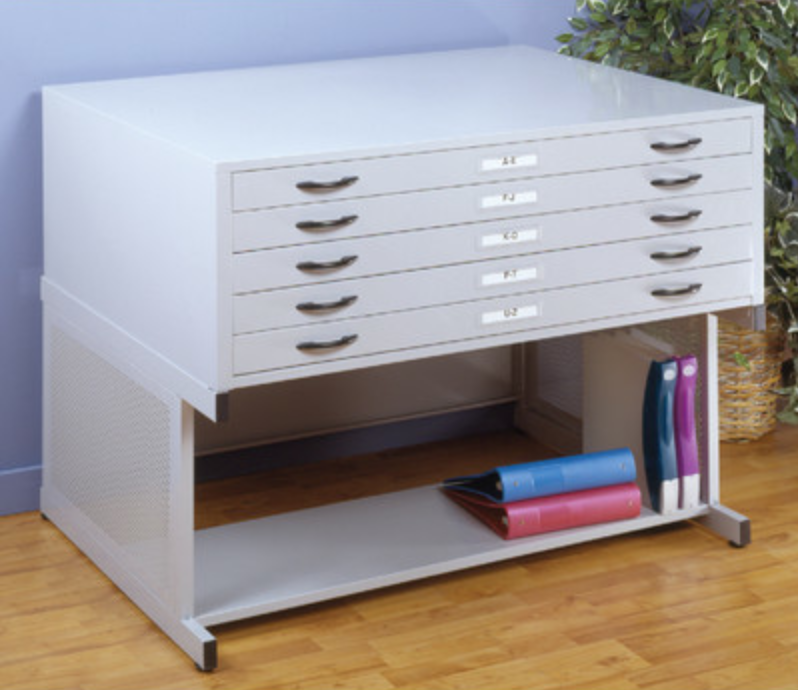 Fortunately, with mobile office storage carts, users can bring their organization with them. Mobile carts are very useful in offices that move at a quick pace or that experience constant reconfigurations, because the carts themselves can move just as everything else does. Best of all, everything in there stays exactly where it's supposed to be! 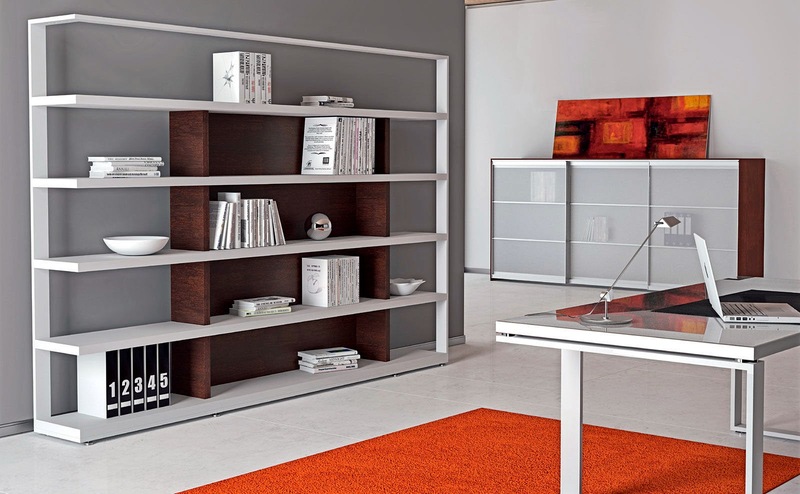 For those that don't mind showing off their possessions, bookcases for office storage are the perfect thing. Not only do they act as smart, well supported shelving; bookcases can also hold everything from books to binders, files, trinkets, little fish bowls, or whatever else you've got hanging around the office. They come in all shapes and sizes to meet the needs of different users. There are even convenient and affordable corner bookcases to take up far less space. For artists, architects, engineers, marketing agents and anyone else that relies on flat, well-kept paper to get the job done, nothing is better than flat files. Flat files are perfect for scale drawings, art projects, and blueprints because they help to keep these important documents flat and clean until they're needed. Many flat files for storage actually take up surprisingly little floor space. Some even have wheels or empty compartments to stow away supplies, making them indispensable to the studio. 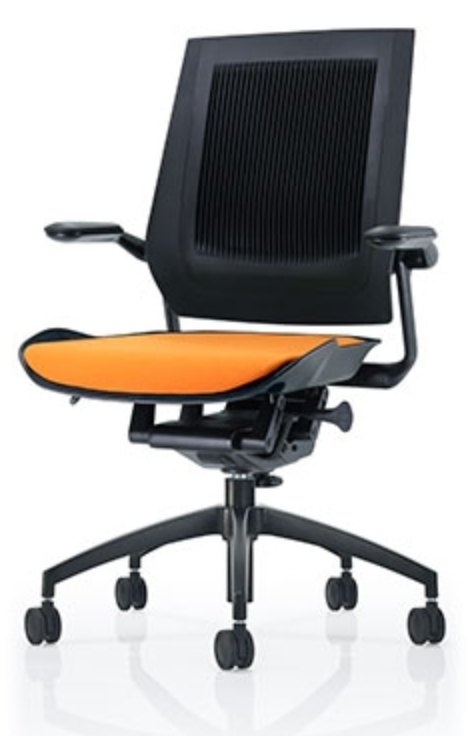 Shopping For Top Of The Line Office Chairs? We've Got You Covered! If you're looking for the ultimate in ergonomic comfort and office style, the office chairs in today's post are just for you. From the Global Total Office Concorde Presidential Chair to the RFM Verte Series Ergonomic Chair, we've highlighted the absolute best chairs money can buy from the industries hottest brands. Enjoy! 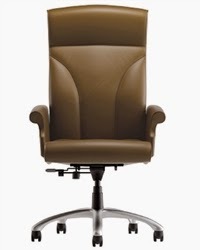 First up, the 2409 Concorde Presidential Chair by Global Total Office. This luxurious seating solution is upholstered in a contract grade leather and features a back friendly high back design. As the most advanced button controlled executive chair on the market, the 2409 is the ideal choice for office big wigs and higher ups. 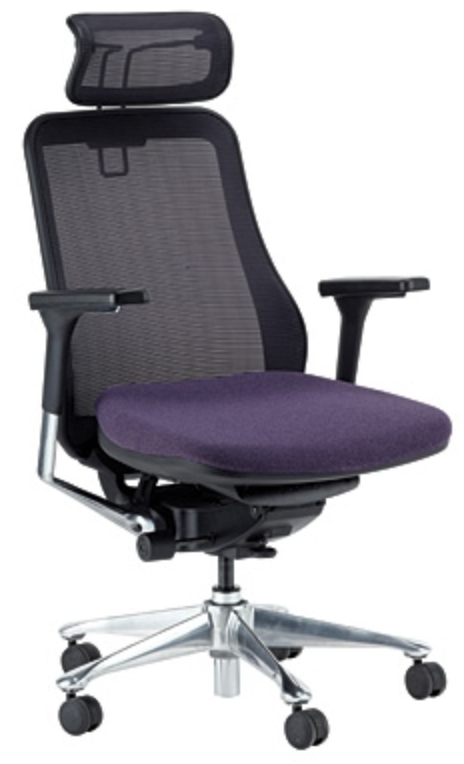 The comfort and ergonomic efficiency achieved from the Concorde will have you working at peak levels of performance. What's next you ask? 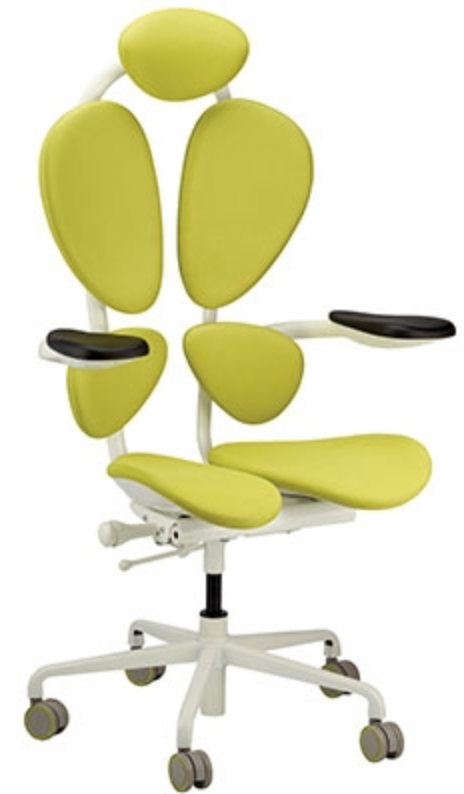 How about the super modern Eurotech Ergohuman chair. 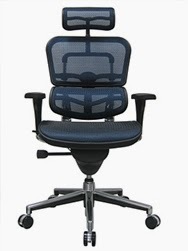 This high end mesh back office chair boasts an elite list of ergonomic attributes that rock! 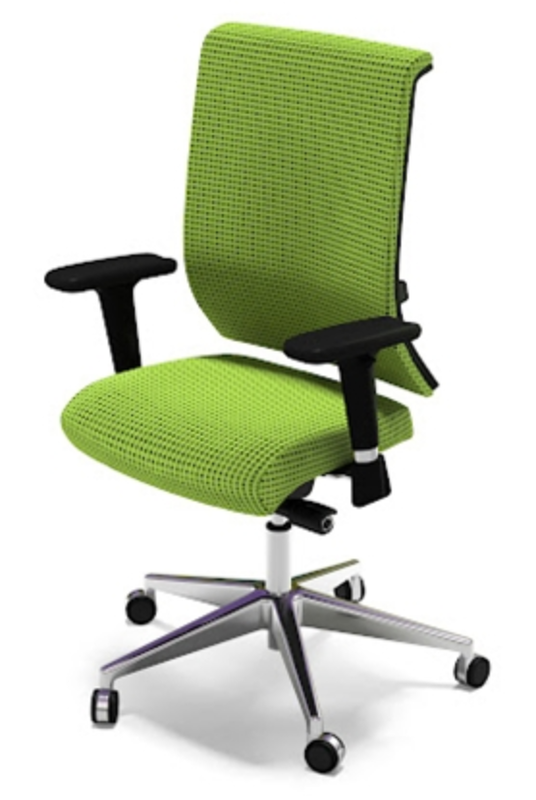 Available in 6 mesh colors, models like the ME7ERG Ergohuman are great for matching new and existing office decor. The polished base and back frame accents are complimented by a versatile set of adjustable arms and head rest. This $624.00 chair makes a statement in any space with the features needed to back up the high end price tag. Wow factor and then some! 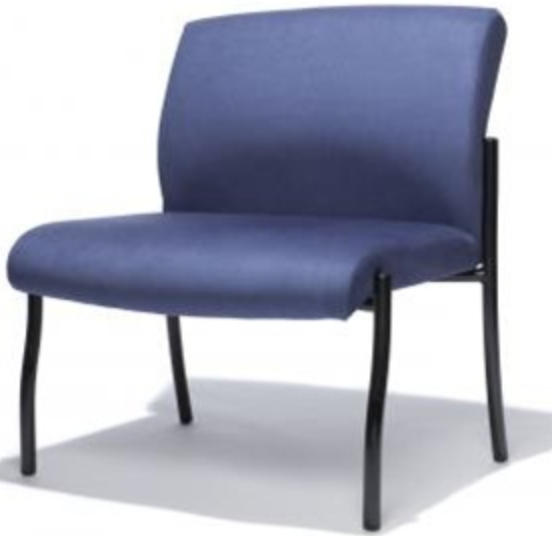 The Oslo series chair from Via Seating sets the high end executive office seating bar in 2014. The elegant details and wide range of upholstery options makes this product a top choice for luxurious conference room applications and office CEO's. The $1482.99 price tag gets you ergonomic features like a dual torsion bar control that improves chair functionality and a 2:1 seat to back ratio with a 26 degree range of motion with infinite tilt lock. How about a top of the line solution for the big and tall crowd that won't let you down. 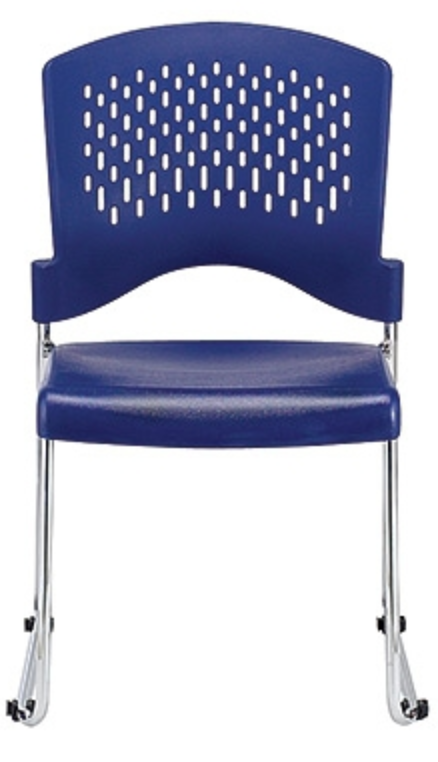 The OFM Avenger chair collection has been a huge hit in 2014. This leather office chair with 500 lb. weight capacity offers heavy duty features and a stunning modern look. 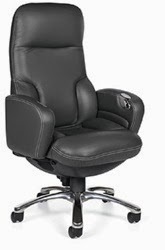 The 811-LX Avenger chair is available in a choice of black and cream leathers and offers ergonomic features like 360 degree swivel, gas height adjustment, and a 5" thick padded seat. The polished frame and arm accents are complimented by 1" thick padded arm rests and a mid back design for excellent back support. Priced at only $444.99, the Avenger is also an excellent value. Who said top of the line can't be affordable? Definitely not us! 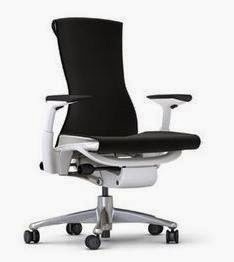 Last but certainly not least, no article on top of the line ergonomic office chairs would be complete without highlighting at least one model from our friends at Herman Miller. A staple of the office elite, the Embody chair offers a cutting edge ergonomic design with innovative features sure to improve your workplace performance. While the Embody boasts a lofty price tag, it's incredibly customizable to meet any users specific needs and ergonomic requirements. Embody chairs are huge favorite with physicians and ergo specialists as they offer the perfect combination of style and functionality for modern work environments. 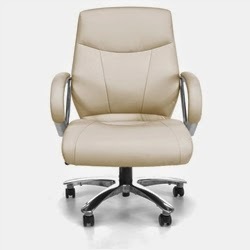 It's important to remember that with so many high end office chairs available for sale in 2014, finding a model to meet your specific body type and needs is a must. Take your time when shopping and be sure to inquire with various seating providers about best selling models. Remember, expensive chairs are great but knowing how to use them effectively for a better work day is what it's all about! Interior design has a lot to do with the way an office is perceived by clients, customers, and guests, so why should all office chairs look the same? Sure, white, black, and leather chairs are popular, but they also don't always stand out. Adding bright, colorful seating to match cutting-edge decor is a surefire way to draw attention to your establishment and lift the spirits of everyone who walks in. 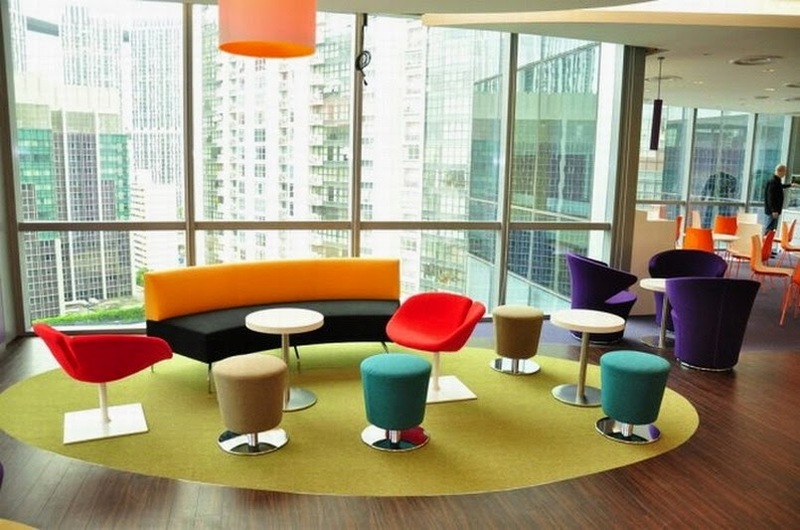 So today, here are a few of our favorite colorful chairs to bring a little pizzazz to the office! Enjoy! Red has long been one of the most stand-out colors on the color wheel. Often associated with health, love, warmth, and strong emotions, it is usually chosen to decorate care-oriented establishments such as childcare facilities, hospitals, and psychologist offices in order to let patrons know they're cared about. 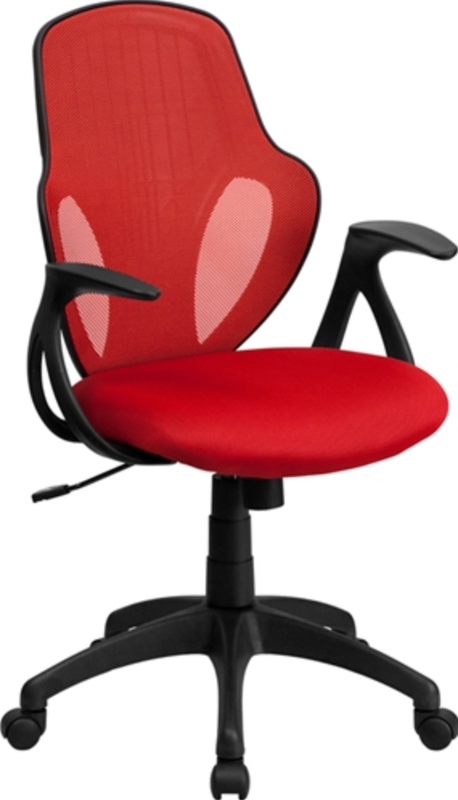 Choosing stylish red office chairs is a good decision if the goal is to give a little extra life to the workplace. The warm color looks beautiful with oranges, yellows, and neutrals, but it also gives a nice kick to soft purples, blues, or greens to make them stand out more. 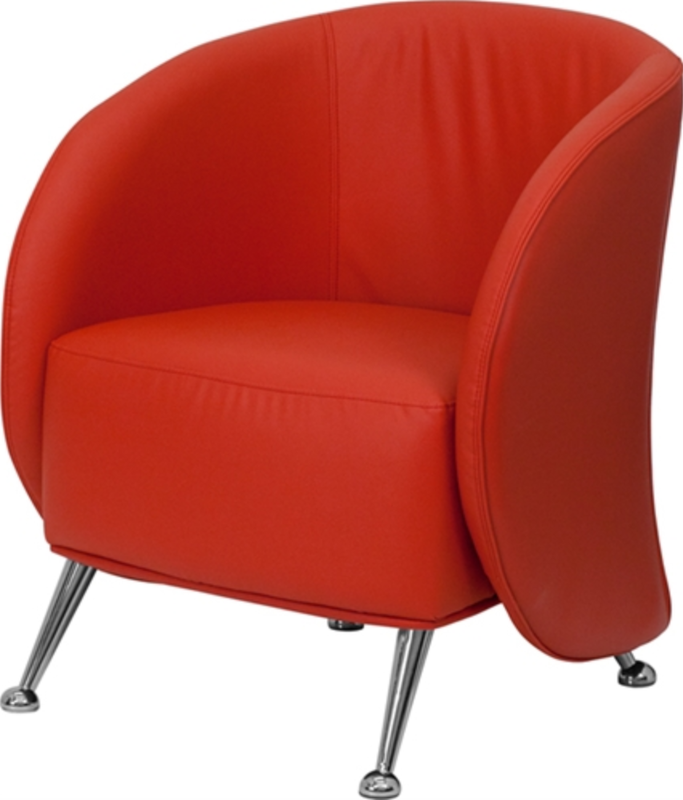 The 85250 Sierra Managers Chair by RFM is offered in the brand's wide array of color choices, but the red version is always the favorite. Orange is another color often associated with excitement and vitality. For interior designers, it is used as an attention grabber, and often paired with a calm teal or blue in order to balance the orange energy. 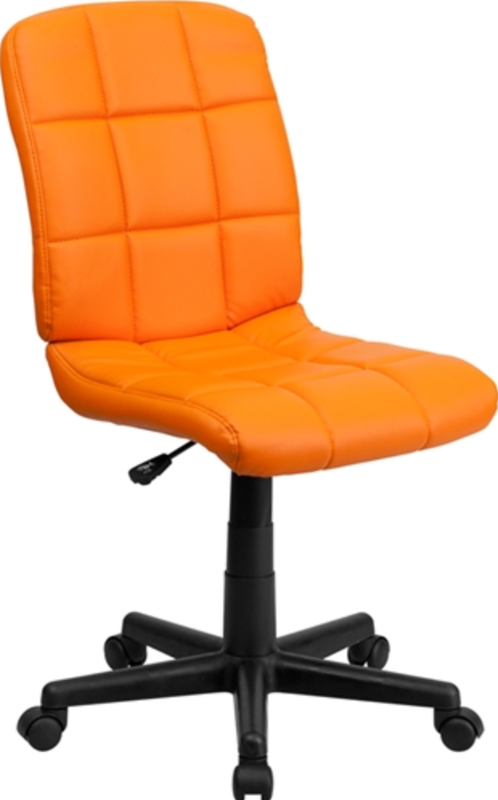 As an office chair, we recommend orange fabric and mesh chairs if your office is in need of a bright, energetic focal point. The RFM 8235 Carmel Chair featured here is one of the most comfortable on the market. By forcing a shoulders-back posture, the chair trains the body to sit correctly, relieving back pain over time. 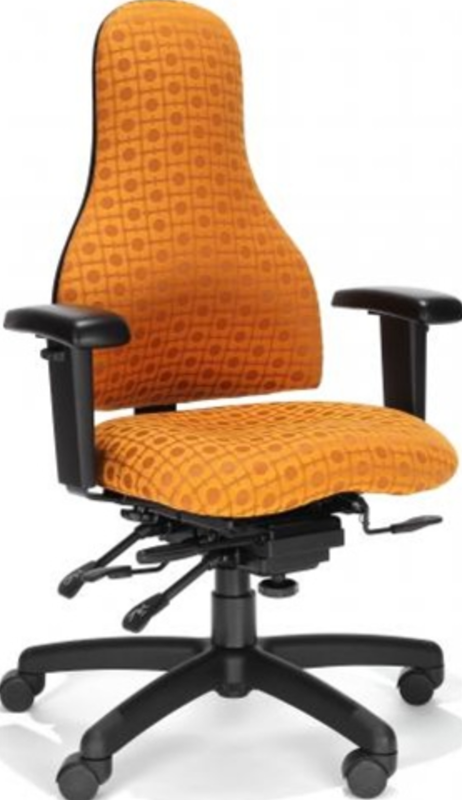 While it is offered in RFM's vast array of incredible fabric choices, it is often preferred as the stunning ergonomic chair with orange fabric it is advertised as. Often considered the king of attention-grabbing colors, yellow shares many of the same energetic associations as orange does. However, it rests on a delicate balance. While it is often considered warm and cheerful, studies show that people have a tendency to lose their temper more frequently and babies tend to cry more in yellow rooms. For this reason, choosing bright yellow office guest chairs to stand out in a room is a much more sensible interior design decision than yellow paint for the walls. 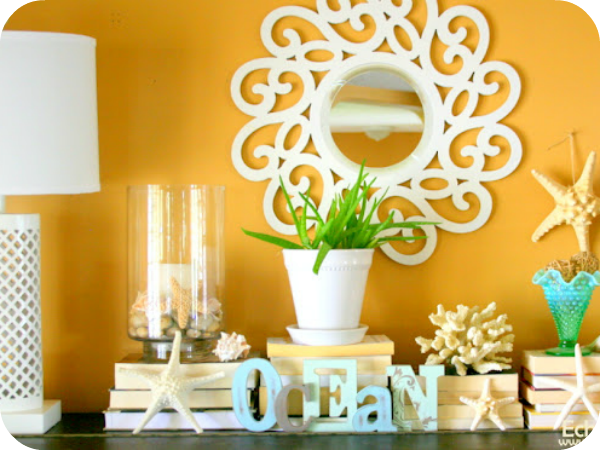 Soft, creamy yellows and beiges pair well with blues to counteract their intensity. However, purple is usually considered a much more appealing color combo with yellow since they compliment one another. Thought to be representative of good luck and prosperity, green has long been a popular choice for business establishments all over the nation. 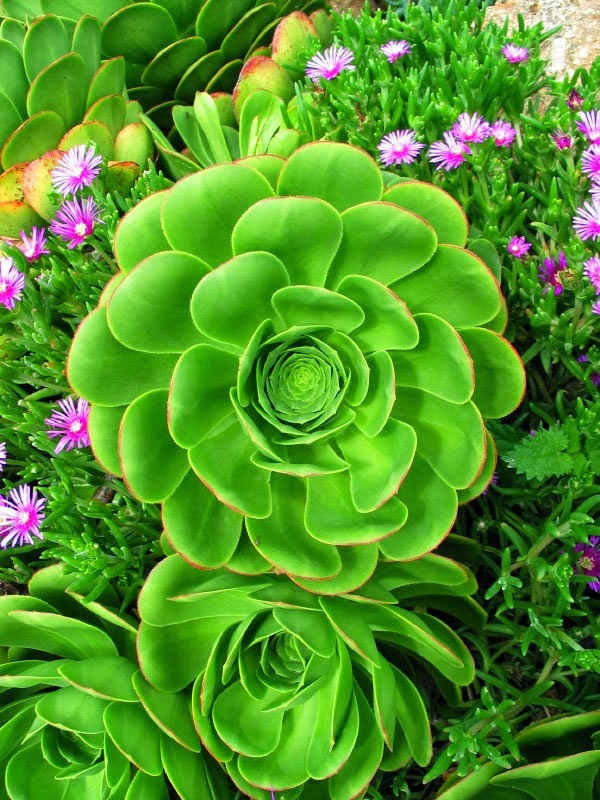 Since the rise of the Green Movement however, the color has taken on a whole new meaning. Today, offices that wish to convey an interest in eco-friendly practice often show their enthusiasm with green office furniture and seating in the workplace (in both the literal and metaphoric sense). The color is also a very popular choice for health facilities and spas because it evokes a sense of tranquility and health. For business owners that want an edge in the workplace, green has also been shown to improve reading ability! Definitely one of the more business-oriented colors on our list! Probably the most common color chosen to decorate offices, there are several reasons behind the popularity of blue. Whether or not office designers know it, several studies have shown that people tend to be much more productive in blue rooms than rooms of any other color. It is the color typically most preferred by men, and is known for evoking feelings of calmness and serenity. As the color of the ocean and the sky, light blue subconsciously creates a feeling of open space when painted on walls, making rooms appear bigger, so it is a popular choice for small offices and bedrooms. 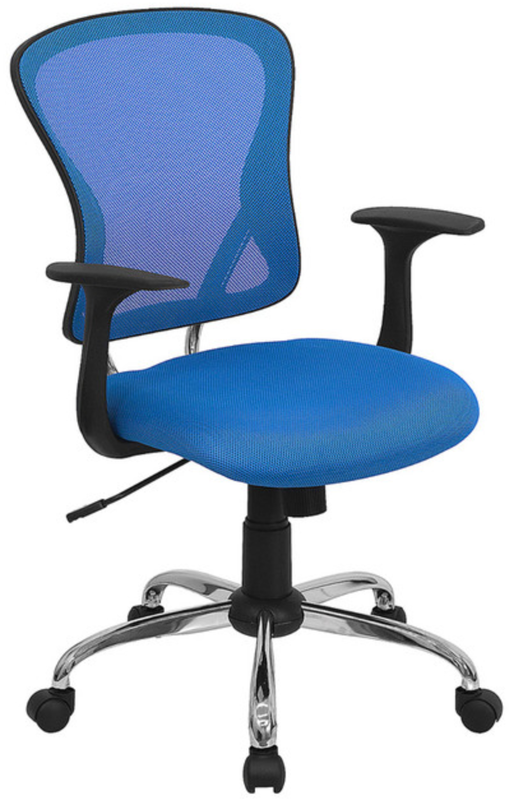 Cool, calm, and harmonious, affordable blue office chairs pair well with almost every other color in the rainbow. For all these reasons and more, it remains one of the most psychologically influential color choices for an office. A popular choice for businesses that want to stand out as unique and special, purple is a color choice that never disappoints. Historically, it has been associated with royalty, but in more recent times has taken on a new air, representing wisdom, spirituality, or magic. Rarely occurring in nature, the color can psychologically feel exotic and special so it often appeals to up-and-coming new businesses. 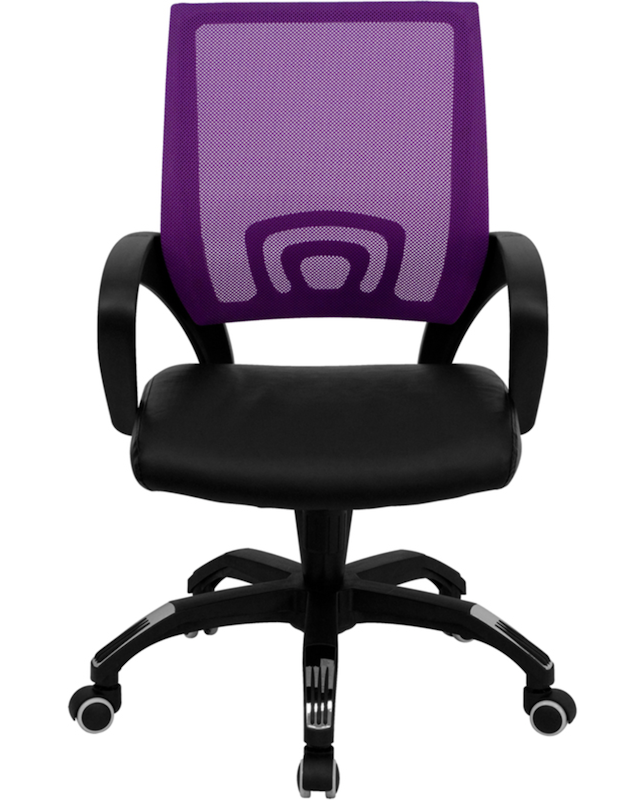 Choosing purple chairs and furniture for office use is a great way to help stimulate the creativity and imagination of employees. 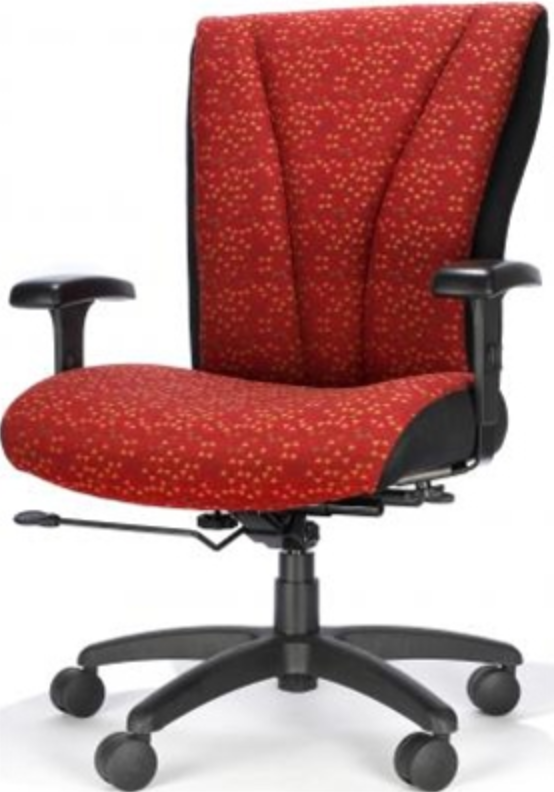 It pairs especially well with red, blue, orange, and bright green, and is one of the more favored colorful office chairs for designers in the workplace!